General Motors unveiled a revamped Corvette in Detroit earlier this year, and will put it on display once again during the New York Auto Show. Why all the hype? It is the first new version of the iconic sports car in nine years. The 2014 model, so new that it shares only two parts with the current model, has dramatic new styling that picks up cues from the 1963 Sting Ray and newer Corvettes. GM promised it would perform better than the current model yet will get better gas mileage. The new version of the two-seater arrives at showrooms in the fall. UNDER THE HOOD: New version of GM's 6.2-Liter small-block V-8 with 450 horsepower takes the car from zero to 60 mph in under four seconds. That's at least a few tenths of a second faster than the current base model. The engine has high torque, or rotational power, at low and high revolutions. It's more efficient because it has computer-controlled intake and exhaust valves and direct fuel injection. That means the gas and air are mixed in the combustion chambers surrounding the pistons, so less fuel is used. Engine also can run on four cylinders at highway speeds to use less gas. Buyers have choice of seven-speed manual or six-speed automatic transmissions. The manual senses when the driver is going to shift and prepares the car for the change. GAS MILEAGE: GM says testing is still being done for the window sticker, but it'll be better than the current base model's 16 mpg in the city, 26 on the highway and 19 in combined driving. Chief engineer says the window sticker highway mileage won't reach 30 mpg, but he wouldn't be surprised to see some drivers get that or more. 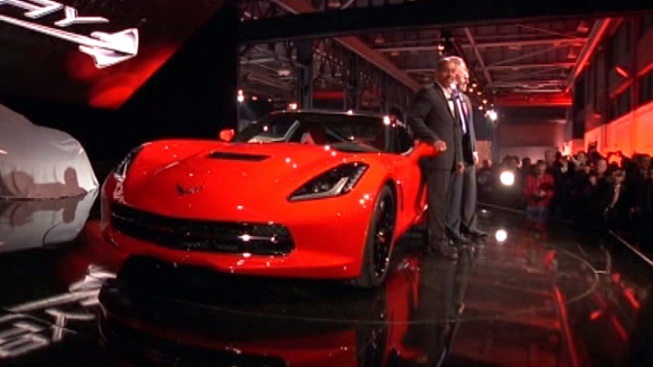 PRICE: Not released, but the car's chief engineer says people who can afford one now will be able to buy a new one. The current Corvette starts at $49,600.